Backyard gardeners often do not have experienced gardeners around who are willing to answer all of the questions that come up throughout the year. Sure, you can get answers to some common gardening questions at your local nursery, and you may be able to swap tips with friends who also have backyard gardens. But overall, it often feels like you are on your own as you spend hours flipping through gardening guides and scouring online forums to find answers to your basic questions. Plus, there are some questions that you might not want to ask even if you know someone who may know the answers. This is particularly true of questions about anything you think you should already know or that might make you look like a newbie. Don’t worry, we have you covered. 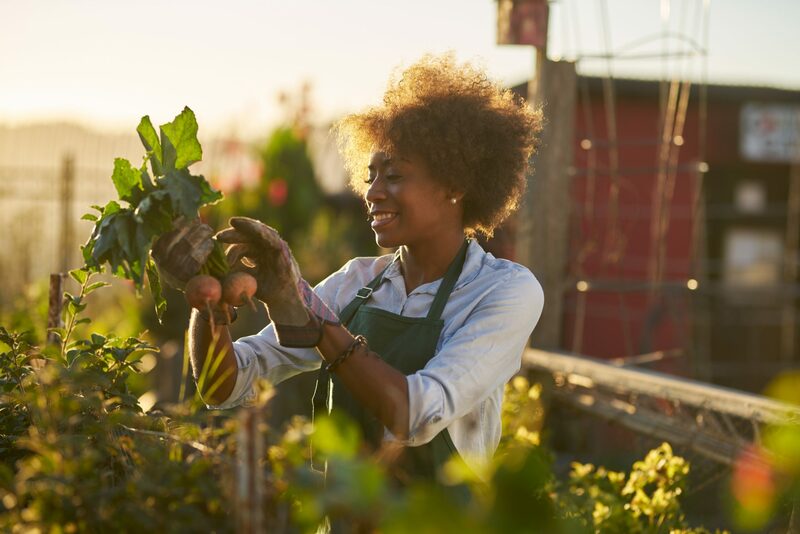 Whether you are a beginner gardener or just looking to up your gardening game, here are answers to 10 of the most common gardening questions, including gardening basics to get you started. 1. How often should I water? This is, of course, one of the most frequently asked questions about any type of gardening. From vegetable gardens to succulents, how much and how often to water can be challenging to determine. The bad news is that there is not a uniform answer that is going to work for every gardener and you cannot simply decide you are going to water once a week on Sundays and leave it at that. How often you need to water your garden will depend on a variety of factors, including the climate where you live, the time of year, the amount of rainfall you receive, the type of soil you have, where your plants are located in your garden, and whether your plants are in containers or the ground. Even when you think you have it all figured out, it will change on you, because your soil is going to dry out faster some weeks than it does other weeks. For example, your soil is going to dry out a lot faster during hot, dry months than it will during colder months. You will also find that some plants in your garden need water more often than others. So, here is what you are going to do so that you know how often to water your plants. The first step is to read the labels when you purchase seeds or plants. Mostly, you need to know if the plant is drought-tolerant once established or if it prefers moist soil. Plants that prefer moist soil are going to need to be watered more often. For most of your plants, you are simply going to stick your finger about one inch into the soil. If the soil is dry, it is time to water deeply. If the soil still feels moist, wait until it feels dry. In Southern California, most gardeners are able to water deeply about once a week in cooler weather and twice a week in hotter weather. If you really have a hard time knowing when to water your garden, plant some leafy green lettuces between your vegetables or in your flowerbed. When the lettuce leaves start to wilt, it is time to water. 2. What does an inch of water mean? 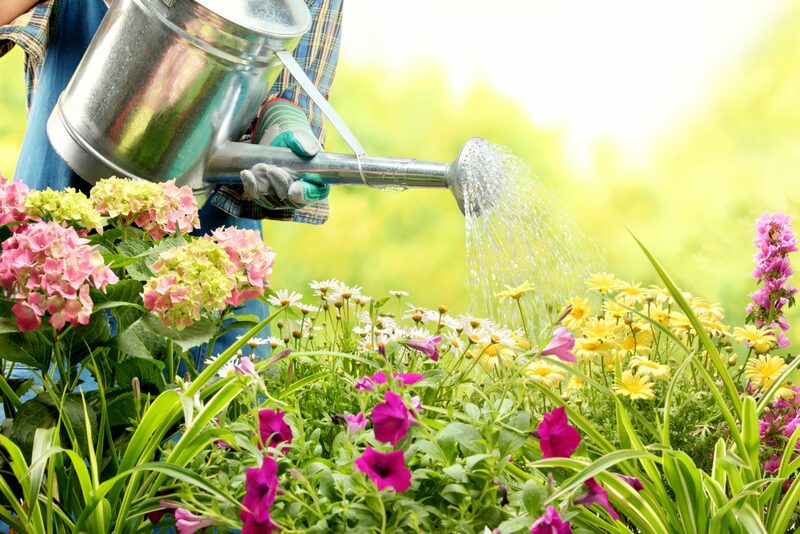 If you have eavesdropped on any gardening conversations, attended a seminar or read articles on gardening, you have probably heard over and over again that most plants need an inch of water once or twice per week. It is great that folks have figured this out and are spreading the news, but it is not very helpful if you have no idea how to tell when you have reached an inch of water when irrigating your garden. That is why this one ranks so high among common gardening questions. It is the same concept as a rain gauge that measures the amount of water you get from a storm, but that is a little more difficult to determine if you are watering your garden by hand or with an irrigation system that might not be calibrated to disperse a perfectly even amount of water throughout your garden beds. To give you an idea on a larger scale, irrigating a 1,000-square-foot, natural grass lawn with one inch of water would require about 623 gallons of water. Now, to scale that back down to garden size, that is .623 gallons per square foot. This means that a six foot by six foot garden bed, which has an area of 32 square feet, would need just shy of 20 gallons of water. 3. How often should I fertilize my plants? How often you fertilize depends on what you are fertilizing and which type of fertilizer you are using. If you are fertilizing fruit trees with a fertilizer made specifically for them, you are going to fertilize them once a year in spring. If you are fertilizing a natural grass lawn, you will likely want to do that twice a year (some people even do it three times per year). Vegetable gardeners can fertilize their garden beds about once a month with a quick-release fertilizer or about once a season with a slow-release fertilizer. Some gardeners prefer to feed their flowers and plants with a liquid-soluble plant food once every one to two weeks. Some plants are heavy feeders and require regular fertilizing to thrive, while others will happily grow and produce for years with little to know fertilizer. In fact, there are some plants that you might kill if you fertilize them too often and increase the level of nitrogen in the soil higher than they can handle. If you really want to get into fertilizing for enhanced blooms or higher food production, look up each type of plant to find the type of fertilizer and fertilizing schedule that works best for them. Most gardeners are going to do just fine if they mix compost into the soil before planting, side dress their plants with more compost every couple of months and use a natural, liquid-soluble plant food once or twice a month. 4. What does partial sun/partial shade/full sun/full shade mean? Full shade refers to areas in your garden that receive fewer than four hours of sun each day. Partial shade and partial sun refer to areas of your garden that receive between four hours and six hours of sun each day. If your plant calls for partial shade, it will do better at the lower end of this sun exposure scale. If your plant calls for partial sun, it will do better at the higher end of this time frame. Full sun refers to areas in your garden that receive at least six hours of sun each day. 5. Should I plant in containers, raised garden beds or in the ground? The answer to these gardening questions depends on your gardening situation. Most plants can be grown in containers, in raised garden beds or in the ground, so your choice is more dependent on how much space you have, how good your ground soil is and your particular gardening needs. For example, if you live in an area where you need to bring your plants inside in the winter, you will want to plant in containers, while if you want your plants to have more soil space to establish expansive root systems, you will want to plant them in raised beds or in the ground. Another benefit of growing in containers or raised garden beds is that you can more easily work and control the quality of your soil. Plus, container gardening can allow you to grow your own food even if you only have a small patio or balcony. If you enjoy gardening but have difficulties with stooping, bending or squatting repeatedly, you can build tall raised garden beds that allow you to garden while standing or you can place containers on platforms for the same effect. On the other hand, you can save money by growing in the ground, since you do not have to pay for containers or for materials to build raised garden beds. 6. How do I know when it is the first frost or last frost? Knowing when the last frost is expected in spring is best left to the experts. You can determine your garden’s first frost by checking a thermometer to see if the temperature has dropped below 32 degrees and visibly seeing a layer of frost on your plants and the ground. However, this is not necessarily helpful to you, because, as a gardener, you probably were trying to get something in the ground before the first frost occurred. The easiest thing to do is look up the first and last frost date estimates published by your local extension office or go to a site like The Old Farmer’s Almanac where you can enter your ZIP code and find out the estimated first and last frost dates for your area. 7. What are soil amendments and what do they do? Soil amendments are materials added to soil to improve soil structure, enhance drainage or moisture retention, adjust your soil’s pH, or add nutrients. For example, you might add peat to your soil to improve the soil structure, or you might use compost as a soil amendment to add nutrients and improve your soil’s structure. Different types of plants like different types of soil, so there is no uniform answer regarding which soil amendments you should use. For example, azaleas like acidic soil, so you might want to mix in peat moss if a soil test shows that your soil is on the alkaline side. 8. What are the easiest vegetables to grow? 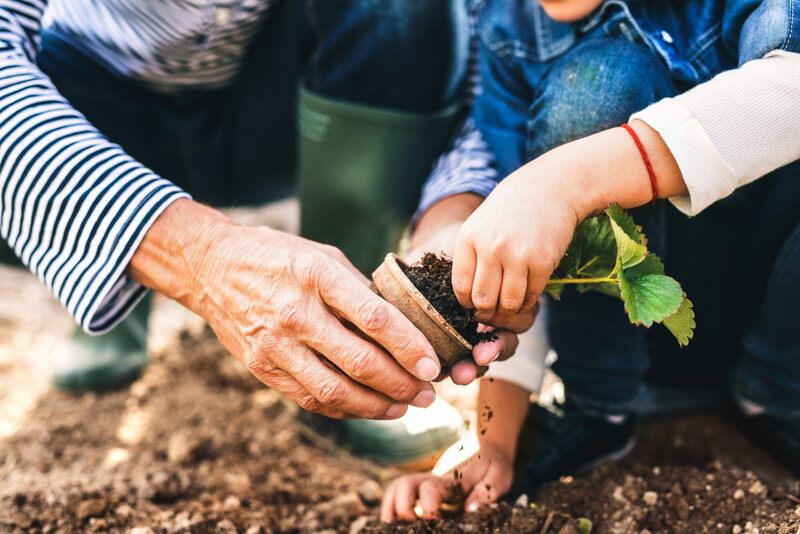 If you are just getting started, don’t have much time to dedicate to gardening or are pretty sure you were not born with a green thumb, it is a great idea to choose some easy-to-grow food plants. This will allow you to enjoy the benefits of growing your own food without the stress or time of caring for higher-maintenance plants. If you need to build your gardening confidence, this is also a great way to expand your gardening skills and build on your successes. Growing easy vegetables is also a good choice if you plan on gardening with your kids. Some of the easiest foods to grow are lettuces, tomatoes (especially cherry tomatoes), carrots, and radishes. Radishes are a particularly good choice for gardening with children since you can go from seed to harvest in less than a month. 9. What is the difference between compost and mulch? The terms compost and mulch are sometimes used interchangeably, which has created some confusion regarding the difference between the two. While compost is sometimes used as mulch, they are two different things that serve different purposes in your garden. The basic answer to this gardening question is that compost is an organic soil amendment made up of decomposed materials. Gardeners mix compost into soil or side dress plants with it throughout the season to add nutrients to the soil and improve soil structure. Mulch is most often used to describe organic materials but can describe either organic or inorganic materials that are spread on top of the soil to limit weed growth, reduce erosion, moderate soil temperature and improve moisture retention. Some common types of mulch include wood chips, gravel, straw or pine needles. To learn more, check out our previous post: What is the Difference Between Mulch & Compost? 10. How do I know when a plant is established? You have probably heard many references regarding plants becoming established. In Southern California, you have likely seen tags on plants that say they are drought-tolerant once established. If you listen to gardening podcasts or read gardening articles, you have probably heard people talk about plants being well established. If so, then you likely know that your plants need more water and food before they are established and that you can start watering them less once they are established. This, of course, leads to the perennial gardening question: How do you know when a plant is established? After you transplant a plant into your garden, it will take time for the root system to develop and spread into the surrounding soil and for new growth to appear on the plant. This is the time (prior to becoming established) that your plants need more food and water, since their root systems are not able to adequately extract them from the soil. Once the root system is established, you will notice new growth above the soil. You will also notice that you cannot simply yank the plant out of the ground with a little tug. Shrubs can take one to two years to become established. Trees might take up to three years to become established in your garden.